It has probably been 40 years since I last saw the Basilica of the National Shrine of the Immaculate Conception and it wasn’t even completed then. A recent visit showed I’ve been away too long. 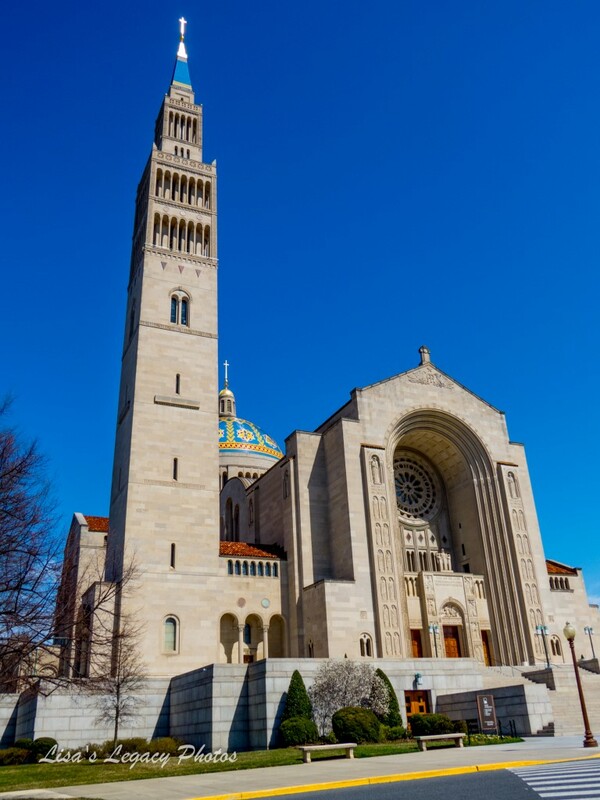 The Shrine on the outer edge of Catholic University on 400 Michigan Ave. NE is far more than a Catholic church that has seen Pope John Paul and Pope Benedict visit. It is a place of unique architecture as well as worship with nearly one million visitors annually. It was a long journey towards completion, starting with a 1910 request to build it that took 10 years before the cornerstone was layed. The lower (crypt) level was completed by 1931, but the death of a bishop, the Great Depression and World War II halted construction until 1959. It was completed in 1990. More than 70 chapels and oratories fill it. The beauty and peace that fills the Shrine certainly make it a must see. And, there’s even guided tours, free and ample parking and a cafeteria. 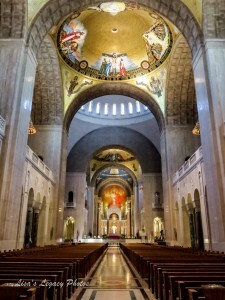 This entry was posted in Attractions and tagged Basilica of the National Shrine of the Immaculate Conception, Best Washington DC walking tours, major Catholic churchs, Photos by Lisa Snider, Washington D.C.. Bookmark the permalink.